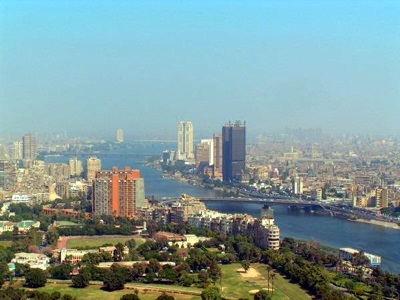 Cairo is the capital and largest city of Egypt. As of 2006, the city had an estimated population of 7.5 million, with perhaps as many as 15.75 million living in the metropolitan area. The guide described by The New York Times as “indispensable,” newly researched and completely rewritten for 2011, fills a vital niche for expatriates and Cairenes alike who need a helping hand to organize―and enjoy―the challenges of a sojourn in Cairo. The basics of daily life―finding a flat, transporting personal goods, investigating school options for children, navigating Egypt’s famous bureaucracy, and the intricacies of feeding and clothing oneself and one’s family from the local market―are all detailed here. Advice gathered from a wide range of Cairo insiders, both native and foreign, gives the reader a cornucopia of current facts on prices, neighborhoods, product availability, work and business opportunities, and the dizzying range of cultural and leisure pursuits that Cairo is famous for. Cairo: The Practical Guide, now in its seventeenth edition, is the key to deciphering the complexities of living, working, and enjoying life in one of the world’s most exciting and dauntingly complex mega-cities. This book moves beyond superficial generalizations about Cairo as a chaotic metropolis in the developing world into an analysis of the ways the city’s eighteen million inhabitants have, in the face of a largely neglectful government, built and shaped their own city. Using a wealth of recent studies on Greater Cairo and a deep reading of informal urban processes, the city and its recent history are portrayed and mapped: the huge, spontaneous neighborhoods; housing; traffic and transport; city government; and its people and their enterprises. The book argues that understanding a city such as Cairo is not a daunting task as long as pre-conceived notions are discarded and care is taken to apprehend available information and to assess it with a critical eye. In the case of Cairo, this approach leads to a conclusion that the city can be considered a kind of success story, in spite of everything.